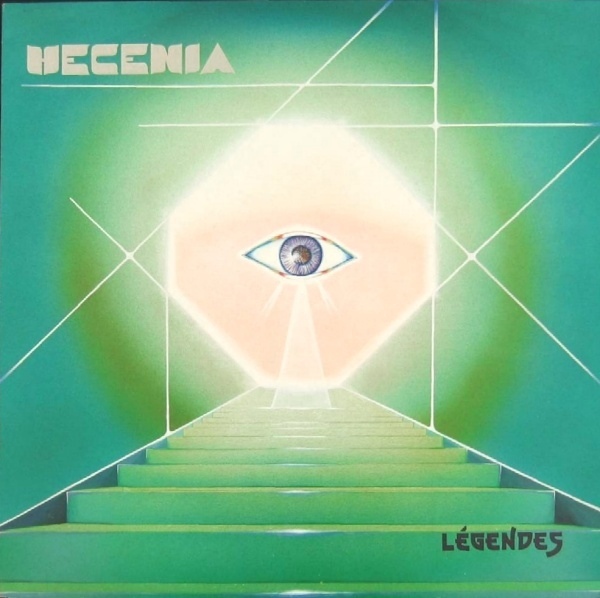 Légendes is Hecenia’s first album, recorded in 1989, released in 1990, and now reissued on CD. If you’ve only heard Hecenia’s second release, La Couleur du Feu from 1994, you would be surprised by the vast difference in the music. Whereas La Couleur du Feu contains sophisticated jazz-influenced progressive rock, Légendes shows the band's roots in Genesis, Yes, and Italian progressive bands. This CD reissue is slightly different from the original vinyl release in that Pierre-Yves Chiron’s guitar solos on "Hécénia," "Le Grimoire," and "La Vieille Femme et la Chandelle" were replaced with Daniel Trutet’s in May 1991. The title track is an energetic instrumental harkening back to "Watcher of the Skies" era Genesis. The other three songs feature beautiful vocal harmonies, symphonic orchestrations, and superb musicianship. Légendes verges on being derivative but is worth investigating.